Dull and dark skin can be caused by frequent exposure to the sun, dry skin, stress, medical condition, exposure to environmental pollution and frequent use of chemical-laden cosmetics. Many people resort to chemical-laden, skin lightening creams and lotions to achieve a fair and flawless skin. However, the numerous side effects of using these chemical cosmetics are well documented. Go for natural remedies to lighten your skin instead. Sunscreens, with the right SPF levels, should be used on your skin to prevent photo-aging. Always moisturize your skin using the right type of moisturizer for your skin. Ensure you include lots of fruits and vegetables in your diet. You could take them raw or as juices or smoothies. Use face masks and packs to remove dirt and impurities from your face. 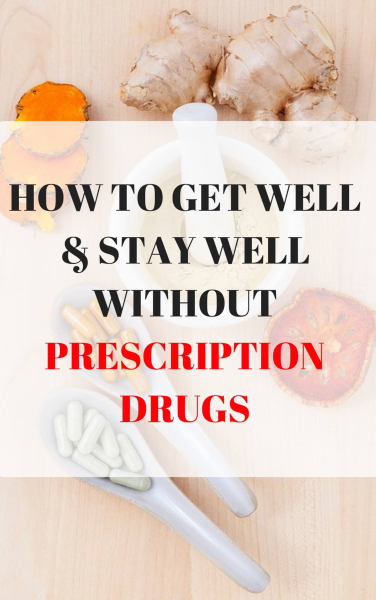 However, limit mask and pack usage to twice a week. Ensure you eat foods rich in omega-3 fatty acids such as salmons, walnuts, sardines, and chia seeds. Cleanse your skin daily using a gentle cleanser. Use a clean soft towel to pat your face and neck dry. Use natural scrubs to exfoliate your skin. Honey is sweet for your skin and we bet, you’ll see the benefits in a few days if you stick to it religiously. Honey is a great moisturizing agent and has incredible bleaching and anti-bacterial properties, making your skin soft, acne-free, brighter and lighter. You can either apply it plain and wash it off with lukewarm water later, or make a skin pack, mixing lemon, powdered milk and almond oil to the honey. Lemon is rich in Vitamin C content and has excellent bleaching properties. It acts as a catalyst to the cell growth process and keeps your skin in an abundant supply of fresh glow, which in turn, makes you look radiant. Also, it’s an excellent antioxidant agent and helps in bettering your skin complexion. Yogurt is a probiotic and is a byproduct of milk and that’s pretty enough to deduce why it’s effective as a skin lightening agent. With its lactic acid content, it’s an ideal natural bleach for the skin, helps remove impurities from the skin, and gives you a dazzling glow. Your life is a lie if you haven’t heard of Aloe Vera’s benefits for the skin. Aloe vera lessens the hyperpigmentation of the skin and remedies the problem of uneven skin spots, thereby, improving your skin complexion up a notch. Tomatoes are the handiest of skin lightening remedies available at home. Even if you cut one and apply it directly on your face, it can charm your skin instantly. Still, if you want a potent homemade face lightening mask, it’s good to know that tomatoes, mixed with a tablespoon of yogurt and oatmeal together as a pack, can brighten your skin and help you put your best face forward. Papaya is a potent fruit to eat and apply, to your face, if you’re going for a lighter skin. This is because of the papaya enzyme, papain, and alpha hydroxy acid, in papaya, which are brilliant skin lightening agents and alleviate skin pigmentation that makes you look darker. Also, the beta-carotene and phytochemicals help alleviate free radicals and heal your skin for good. Prepare a papaya pack with honey, and apply the mask every day for best results. Almond oil has been heavily advertised as an essential skin nourishing remedy. Turns out, it really is. With good amounts of Vitamin-B complex, phytosterols, minerals and fatty acids, almond oil combats skin darkening and skin aging as well as makes you have drop-dead gorgeous skin. If there’s any fast-acting remedy against wrinkles, blemishes and dark skin, it’s almond oil. Kojic Acid nips the ‘melanin’ menace in the bud and stimulates skin lightening. You can add a pinch of Kojic acid to the lotion or cream you use, and apply it daily. It directly works by controlling the melanin flow in the skin and gets you a healthier complexion. However, note that Kojic Acid can cause skin irritation, so don’t forget to patch-test it before applying it on your face. There is no denying that cucumber has amazing skin lightening properties. And, when cut in slices, it’s incredibly relaxing during face massages. Combine cucumber and lemon to create a skin-lightening blend, and apply it for 15 minutes before washing it off. If done regularly, you’ll see your skin glowing with health in just a week. Dead cells are the real fault lines under your darker skin, and that’s where most work needs to be done. Try Oatmeal, a home-ready ingredient having excellent exfoliating properties. There are two ways of applying it – (1) with milk (2 tbsp) and almonds (2-3 pieces); and (2) with buttermilk (3 tbsp) and honey (1 teaspoon). You’ll see your skin turning into its most gorgeous ever if you use any of the given packs regularly. Vitamin C is the primary ingredient in oranges. Furthermore, the citric acid, in orange, makes it an excellent bleaching and skin lightening agent. You can either combine orange in its juice form with turmeric powder, or its dry peels with plain yogurt, to apply it as a mask on your face and get the glow. 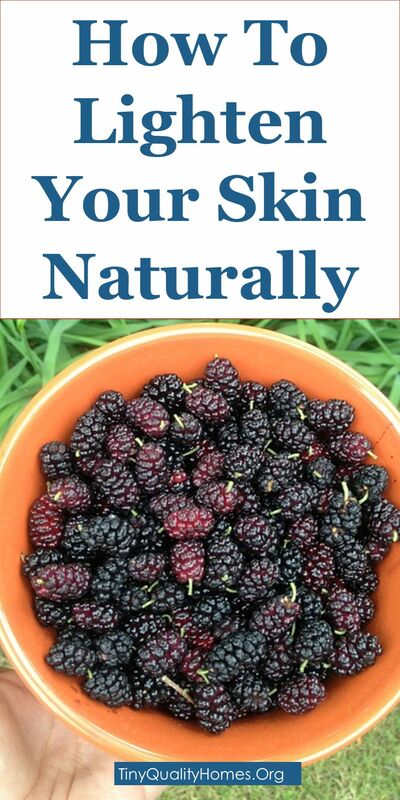 Mulberry Extracts contain fatty acids, quercetin, and gallic acid, which all in all, are powerful skin lightening bioactive constituents and help you have a great skin. Mix mulberry extracts with the cream or lotion you use, and apply it gently over the affected skin. Repeat it twice a day and see the pretty peachy skin soon. Our mothers have told us about the skin benefits of potatoes. And we regret why we haven’t tried them when she was adamant about it. Nevertheless, we haven’t missed the bus. Grate a potato and mix it with 2 tbsp of honey to prepare a skin pack, and whiten your skin naturally. Potatoes have catecholase as a quintessential enzyme, which works by eliminating acne, dark spots, scars and blemishes. Also, they’re rich in Vitamin B6, Vitamin C, and Calcium. Blended carrots, mixed with 1 teaspoon of milk, 2 drops of Vitamin E and a dab of lemon, work as an effective skin lightening and nourishing agent. Use it daily and see your complexion turning to a fairer hue. Gram Flour or Chickpea is a granny remedy for skin lightening and brightening, and it genuinely works. Prepare a scrub by mixing gram flour with milk, turmeric, almonds and rice flour, and use it regularly for best effects. Note that gram flour finds an honorable mention in the old books of skin care and traditionally is used by brides for instant glow before their wedding day. Turmeric is a kitchen’s wonder spice and a wonderful skin lightening agent as well. We all have our Turmeric-for-Skin tales to tell, especially the ladies. Turmeric has effective antiseptic and antioxidant properties that work by eliminating skin scars, pimple marks, and blemishes and contributing to the skin lightening process. You can either use turmeric with milk cream or with gram flour and lemon juice, to create a thick paste and apply it daily to your skin. You’ll surely get your skin glow back. Egg white is a great-working skincare remedy. Simply apply a layer of egg straight on your face and keep it for a while. Wash it off after 15 minutes and be the beautiful kind of ‘YOU’. Sandalwood powder has Tyrosinase enzyme which reduces the melanin production in the skin and betters your skin complexion. If sandalwood powder is mixed with almond powder and milk, this sandalwood mask’s properties expand to be that of a cleansing agent as well, which makes your skin soft and supple. Apply this mask twice or thrice a week, and get a more beautiful, fairer skin. Pumpkin is loaded with skin lightening benefits due to its beta-carotene and vitamin A and C content. You can prepare a pumpkin mask at home by getting some readily available ingredients, like honey and milk. Apply it twice or thrice, per week, on your skin before going to bed and see the difference in just a couple of weeks. Note that if this mask irritates you, replace milk with rose water or aloe vera juice. Citric acid is a fantastic bleaching agent and found in abundance in both lemons and grapefruit. It can help your skin retain its actual complexion and make it even fairer with its natural bleaching properties. Studies show that rice is an effective sun protection agent and protects your skin from the harmful UV rays. Also, it has anti-aging benefits, which work on wrinkles and blemishes, and give you a younger looking skin. As for the second ingredient, milk nourishes skin and makes it soft. Combine a half cup of rice with 3-4 tbsp of milk, and apply the pack, twice or thrice a week, for 15-20 minutes. Your skin needs immunity too. Blueberry has great immune-boosting properties that help your skin stay glowing for long. Just pick 3-4 blueberries and mix it with a half cup of yogurt to prepare a thick face mask. Apply it during night time, preferably before sleeping, twice a week. You’ve been living under a rock if you haven’t heard of baking soda as an effective skin lightening agent. It’s a powerful antioxidant and anti-bacterial agent as well as being a skin-perfecting toner. Just mix baking soda with water and apply the mask daily to see the difference in your skin color. Milk really needs no introduction when it comes to its numerous skin benefits. Milk is a well-known bleacher and nourisher. Milk also can help your skin complexion look fairer in just 2 weeks of regular application. Dip a piece of cotton in 2-3 tbsp of raw milk and massage with it daily for quick results. Besides its fragrance, Rose Oil is also known for its skin brightening properties. Just mix it with a cup of chilled milk and see your scars and acne diminishing to a level where you can’t believe they ever existed. Neroli essential oil is a sure-shot skin lightening remedy for people with oily skin. Not only does it control the release of melanin inside the skin cells, but also slows down the aging process. Just mix a little of Neroli Oil with a tablespoon of a carrier oil, such as olive oil or coconut oil, and apply the mixture daily for a couple of days to see the glow returning to where it belongs. Water, just as we know, is the elixir of life, and works in more ways, than one, to keep us fit and fine. It’s also a great formula for skin lightening. Your skin needs water to produce new cells every minute and give out sweat for better perspiration. Keeping your body in enough supply of water helps hydrate and protect your skin without leaving it too oily. As a result, your pores are deep-cleaned and you ooze perfect radiance. Do we even need to say a word? Sleep is extremely critical to replenish your energies. And your skin isn’t an exception. When you sleep, the cell renewal occurs faster than you think and your skin feels a lot more relaxed. You absolutely must sleep well, 8 hours as the common advice goes, to lay off the stress and look resplendent like never before. A common skincare advice, but the most unheard of all. Your skin takes a daily beating every time you step outside the house. Those UV rays, from the sun, work a curse, as they result in excessive skin pigmentation. However, a good sun protection cream with right SPF levels (SPF basically refers to the amount of UVB protection a sunscreen provides) can work a charm. Apply a sunscreen lotion 30 minutes before stepping outdoors. A moisturizer leaves your skin wonderfully supple and keeps dryness at bay. Remember that dry skin absorbs heat more than nourished skin, making you look darker. This is why it’s important to use moisturizer. Even better if you use a good cleanser or a face wash to get rid of dirt, oil and other impurities before applying a moisturizer. Heard it a million times? That’s because the habit of eating healthy has a lot of benefits, but is often ignored than implemented. Your skin needs fresh fruits and vegetables for the glow you crave for. Add loads of green, leafy vegetables and fruits to your diet, and see them working wonders for you.